Stafford Textiles Limited is a second generation company that has been in business for over 60 years. It was started by Bob Stafford in 1945. Having its head office in Toronto, Canada, the company is easily accessible to its customers across North America. Stafford Textiles Limited specializes in customized supply chain solutions for some of the world’s most successful retailers, brands and promotional wear companies. We innovate and develop new fabrics, source suppliers in key manufacturing regions globally, oversee production and deliver goods at the right place and at the right time. By maximizing our global network strengths, long term vendor and supply chain relationships, market knowledge and advanced technology, we have the capacity and the flexibility to speedily respond to continuously evolving trends and consumer demands in this competitive market. Our financial strength and fabric forward strategy is the formula of our continued growth and success. 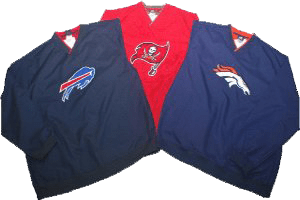 Uniforms – Men’s and Ladies woven shirts, pants, shorts, skirts and jackets. Safety Wear – Hi-Viz ANSI-Class II tee’s, Jackets and Vests. Sleepwear – Woven & Knit Coordinate Sets, Sleep pants & boxer shorts.